The end of the year is upon us but there’s one huge boxing fight left to come. This Saturday Josh Warrington takes on Carl Frampton at the Manchester Arena. Defending his IBF featherweight world title Warrington will be hoping he can follow predictions and retain his title. 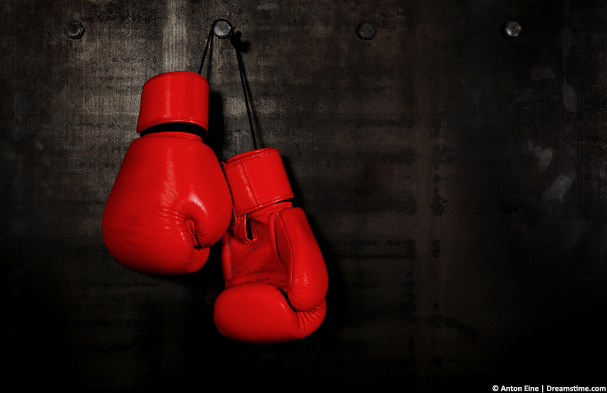 Finding live coverage of the fight if you’re not in the UK can be really difficult and while many will turn to illegal streams there is a better way to watch the fight. For this, you’ll need a VPN app which will allow you to tap into an official broadcast from another country and watch for free. In this guide, I’m going to show you how you can do exactly that. There are loads of VPN apps out there but not all do the same job so it’s not simply a case of tapping ‘VPN’ into Google and signing up for any. It’s important the VPN app has a ‘Russian VPN server’ because they will allow you to watch the official Warrington v Frampton live stream on the official Russian streaming service for free. My recommendation is to get ExpressVPN. They’re a little bit faster than the competition which means you’ll minimise the chance of buffering allowing you to watch the fight in high quality without issue. Although all three essentially do the same so you can really pick any. Now you’ve made a decision which VPN service you want you’ll need to sign up for their service. 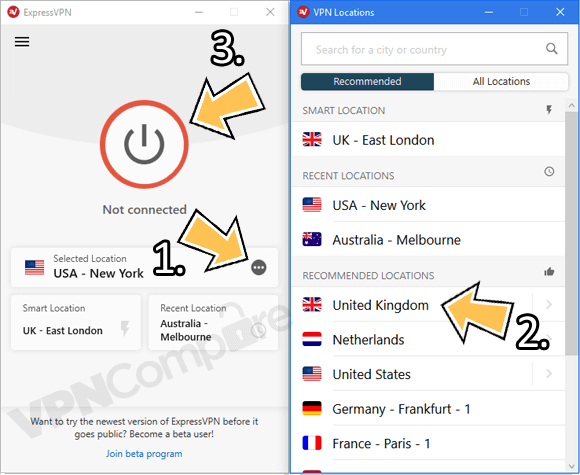 This is really easy to do and for this I’ll be using ExpressVPN as my example. First you’ll need to visit the VPN providers website, for example, ExpressVPN. Then press the large red ‘Get ExpressVPN‘ button. Choose a subscription length. To watch the Warrington v Frampton fight you’ll only need their shortest package which is a month. However, it’s definitely worth considering taking their 12-month package. It comes with 3-months free which makes it nearly 50% cheaper than paying monthly. The benefit of this is there are loads of other boxing fights you can watch and live sports such as the EPL, other football leagues and more. They’ve got a 30-day money back guarantee too so even if you took a year subscription but then changed your mind, you can get your money back. Next, enter your email address, choose a payment method and complete the payment process. Now you’re signed up you’ll need to download the VPN app. For phones and tablets running Android or Apple iOS just search your usual app store for ‘ExpressVPN’. If you’ve got a Windows or Mac OS computer or laptop then you can download the app from the ‘Products’ section of the ExpressVPN website. Amazon Fire TV Stick users can download the app directly from your Fire TV Stick by searching ‘ExpressVPN’ and installing. Once you’ve downloaded and installed the app open it up, press ‘Choose Location‘ (1) and then press ‘United Kingdom‘ (2). You may need to press ‘Connect‘ (3) depending on what type of device you’ve got. Watch Warrington v Frampton anywhere using ExpressVPN. Once the app has connected which should take no more than 15 seconds just visit the MatchTV Live Stream page to watch the entire fight. You can watch on your computer, laptop, tablet, phone or even your Amazon Fire TV Stick. Just head over to the live stream page at the time of the fight to watch the entire bout live wherever you are in the world. Josh Warrington takes on Carl Frampton on Saturday, 22nd December 2018. Live coverage will start from 9:25 pm UK Time. You can use a website such as TheTimeZoneConverter to find out the exact time in your location. The fight is taking place at the Manchester Arena in Manchester, United Kingdom. Leeds native Josh Warrington has held the IBF featherweight world title since May of this year but he’ll be putting it up for the test against Carl Frampton on Saturday. After taking the belt from Lee Selby in the middle of the year it’s the first time he’s been challenged for the belt. Northern Ireland’s Carl Frampton who is also known as The Jackal is seen as taking a huge step up in classes for the fight but after holding two titles in different weight divisions previously it’s not necessarily uncharted territory for him. Interest in this fight is likely to be huge so make sure you don’t miss it by grabbing a VPN from ExpressVPN and watching live on MatchTV. To watch the fight live basically for free you’ll need to get a VPN app. I recommend using ExpressVPN because they’ve got a 30-day money back guarantee. This will allow you to watch the official stream on MatchTV in any country. Sign up for ExpressVPN using the link below and download their app. Then connect to Russia. Once you’ve connected you’ll be able to watch the entire fight for free on MatchTV. Who do you think will win this one? Will Warrington be able to hang on to his belt or will Frampton throw an upset? Let me know in the comments section below.